Fernand-Léonce-Émile Pelloutier (1 October 1867, Paris – 13 March 1901, Sèvres) was a French anarchist (anarcho-syndicalist). 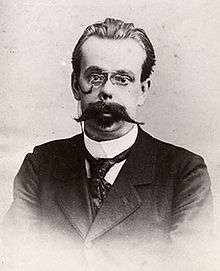 Pelloutier's theories were exceptionally important to the Revolutionary Syndicalism movement in Italy that appeared towards the end of the nineteenth century, and he is a source of major influence in this regard for Georges Sorel. Barbara Mitchell, The Practical Revolutionaries. A New Interpretation of the French Anarchosyndicalists, New York 1987.